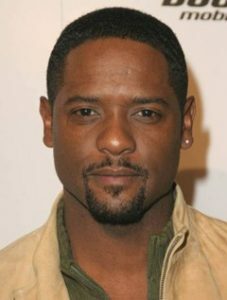 NBC is brining back ‘Ironside‘ to the small screen with Blair Underwood playing Robert T. Ironside, who was originally played by Raymond Burr. If you remember, ‘Ironside‘ was a TV series from that aired from 1967-1975 and focused on a sardonic and intelligent detective who is confined to a wheelchair, and just happens to solve some of the most bizarre crimes in San Francisco. David Semel was supposed to direct the pilot episode, but due to scheduling conflicts had to opt out, but he will still executive produce. Semel has a long resume of decent to great shows he has worked on including ‘Buffy‘, ‘Dawson’s Creek‘, and ‘American Horror Story‘, according to Deadline. We also hear that NBC gave the greenlight to this project based on Underwood’s commitment to the role. This could be awesome. And if you haven’t seen the original series, find it online and check out an episode. This could be great as a remake. NBC Is Producing ‘Hairspray Live!’ For A December Show With HUGE Stars Attached!!! This entry was posted on Monday, February 4th, 2013 at 10:27 pm	and is filed under News, Television. You can follow any responses to this entry through the RSS 2.0 feed. You can skip to the end and leave a response. Pinging is currently not allowed. « ‘Zombieland’ to Become a TV Series Through Amazon!! !